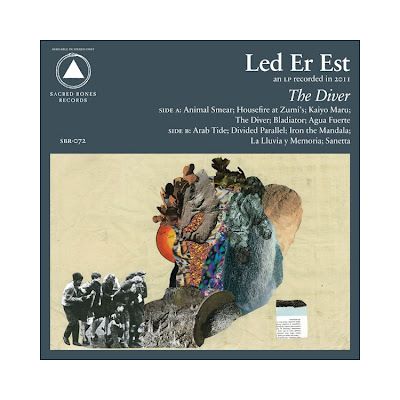 Led Er Est have announced the release date of their second studio album entitled 'The Diver'. The album features eleven new tracks and it will be released on May 8th. This is a follow up to their brilliant debut album 'Dust on Common' which was released in 2009 on Wierd Records. "Bladiator", one of the songs from the upcoming album was premiered on their final installment of Room 205. The album was mixed by Chris Coady and will be released courtesy of Sacred Bones Records.